One of my favourites outfits. 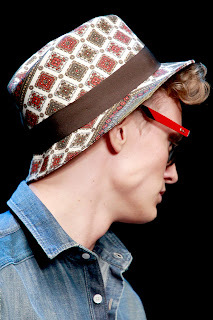 TOPMAN, London 2012. 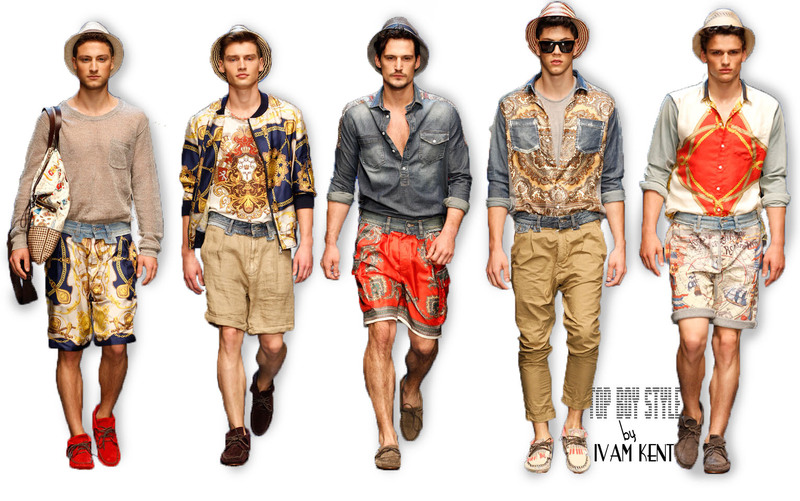 Well first of all a brief introduction to what's coming this S/S (Spring/Summer) 2012. 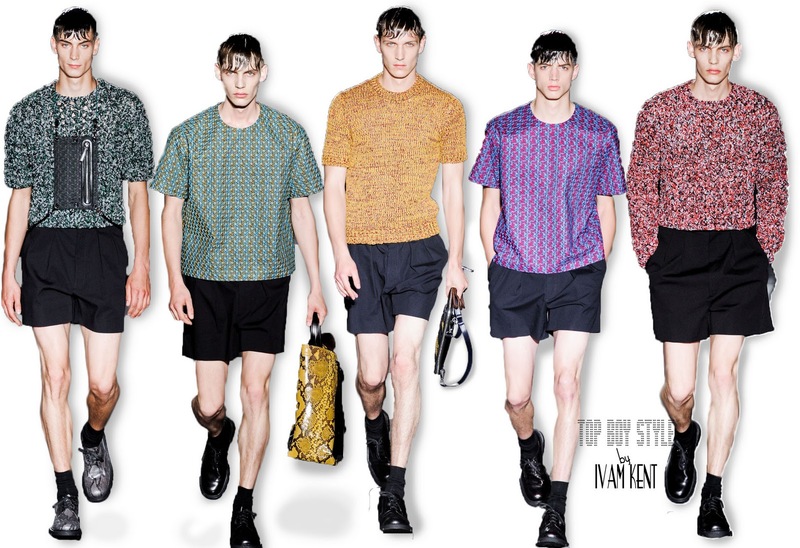 In my own opinion, and point of view I personally noticed lots of Mixed Patterns, from different designers and brands such as ACNE, Jil Sander, Bottega Veneta, Burberry, Dolce and Gabbana, Emporio Armani, Givenchy, Sibling, Topman, Versace, etc. Which I find so interesting because, it's not only about simple colours, or fabrics, it's more about enjoy yourself and be comfortable with different kind of patterns. However, I'm going to show you the difference and similitude between these brands and designer collections for this S/S (Spring/Summer) 2012. Things that you shouldn't forget to buy this S/S. 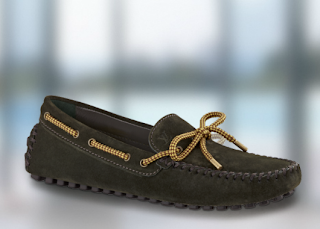 1.- Loafers (Seen as pictures below). 2.- Hats (Seen as pictures below). 3.- Mixed Patterns clothes (Seen as pictures below). 4.- Colours such as Green, Red, Yellow, Brown, Blue (Seen as pictures below). 5.- Don't forget to style your looks. En mi propia opinión, y punto de vista yo personalmente me di cuenta de las diferentes prendas y estampados mixtos, de diversos diseñadores y marcas tales como ACNE, Jil Sander, Bottega Veneta, Burberry, Dolce & Gabbana, Emporio Armani, Givenchy, Sibling, Topman, Versace, etc. Lo que me ha parecido muy interesante porque, no es sólo acerca de los colores, o las telas, se trata más de disfrutar y sentirse cómodo con diferentes tipos de estampados. Sin embargo, yo te voy a mostrar la diferencia y la similitud entre estas marcas y colecciones de los diseñadores para este S / S (Primavera / Verano) 2012. Cosas que no debes olvidar para comprar esta S / S.
1 .- Mocasines (visto como fotos de abajo). 2 .- Sombreros (visto como fotos de abajo). 3 .- Ropa con Estampados Mixtos (visto como fotos de abajo). 4 .- Los colores como verde, rojo, amarillo, marrón, azul (visto como fotos de abajo). 5 .- No te olvides de estilizar tus propios looks. Let's start with TOPMAN, one of my favourites brands. Because they always make small sizes which are hard to find in other brands, in other words it's made for skinny guys such as me, also as you can notice on the picture below. 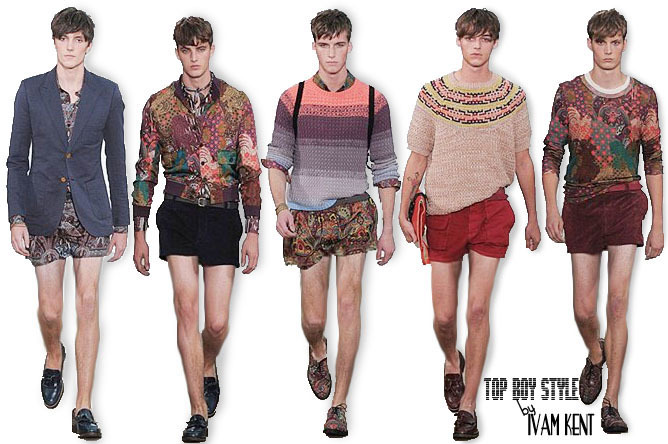 Other reason because I find TOPMAN interesting is because they have always this kind of style which I personally love. Their inspiration is Bohemian, Kashmerie and Moroccan influences in romantic palets with patterns and printed silks." "Youthful bohemia" and the pieces are smart suiting with an Eastern twist. Double-breasted jackets with cropped trousers. Bright patent tassled loafers in fluorescent colours. Silk shirts and pyjama-style trousers in jacquard prints. Man cluthes in printed Maroc leather. Vamos a empezar con Topman, una de mis marcas favoritas. Porque siempre hacen tallas pequenas que son difíciles de encontrar en otras marcas, en otras palabras, está hecho para chavos delgados como yo, también como se puede notar en la imagen siguiente. Otra razón, porque TOPMAN me parece interesante es porque siempre sacan éste tipo de estilo que personalmente me encanta. Su inspiración es bohemio, camisas de seda y pantalones estilo pijama en estampados jacquard. cluthes hombre en cuero impreso Maroc. 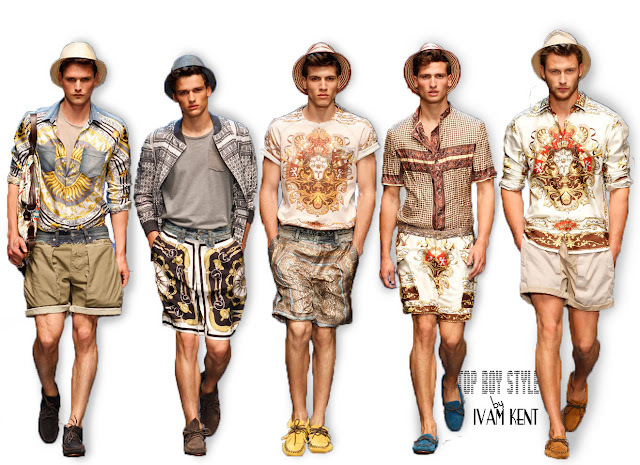 The next one on the list is Dolce and Gabbana, presenting his collection in Italy. 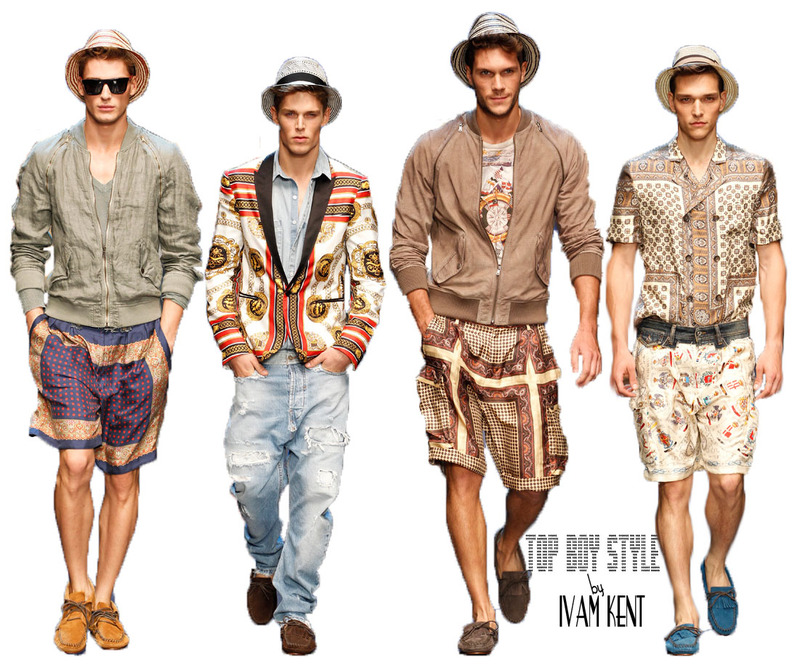 Something I liked about this catwalk is that they used Loafers and Hats, which gave that casual, urban, look as is classified Dolce and Gabbana, attempts to set trends rather than follow, they decided be more flamboyant line from the Italian design. We continue the list with Burberry, In my own opinion and point of view I think Burberry should of put less coats and more fun and brighter colours, such as summerish looks are even though maybe they tried something different which could work aswell because I personally still LOVE the looks. 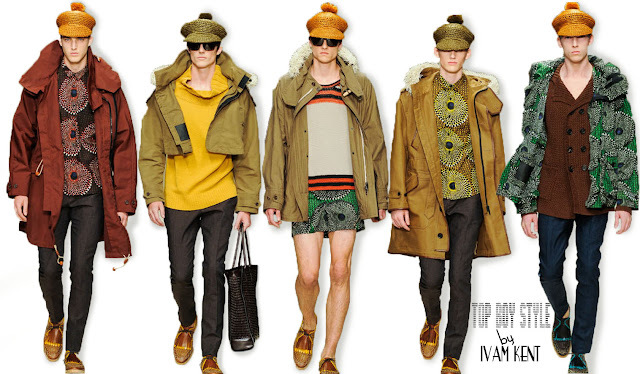 Christopher Bailey, is the creative designer of Burberry, he always creates new designs that suit the modern styles. The inspiration is the digitalization of the modern culture; a matter that influenced the collection with a youthful look more than any other. 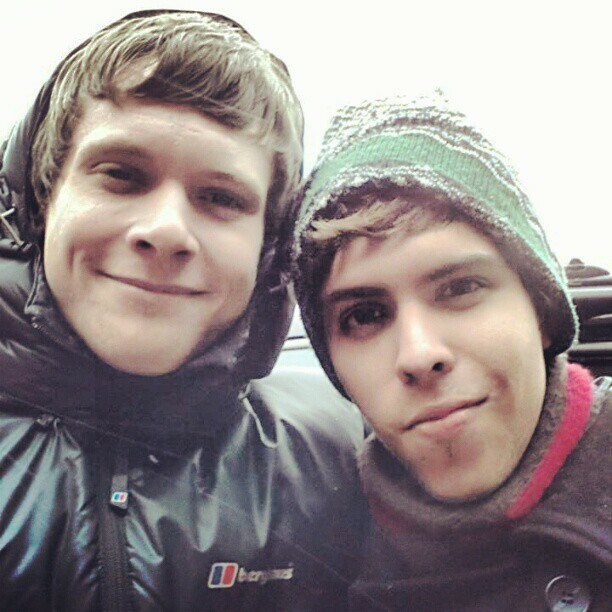 Bailey usually identifies the brand clothes with certain colours, the usual colours that we always see in Burberry. In this collection he added more colours to match with the original military colour palette such as orange, red, green, yellow and different grades of blue, but mostly turquoise. 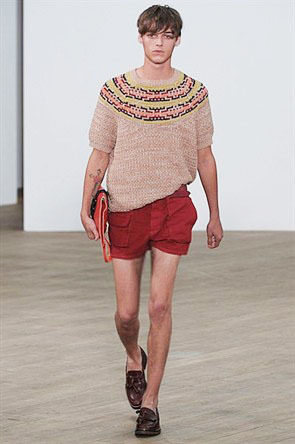 The colour variation and the many colours he used with the woven sweaters gave a fall look instead of a spring trend. Continuamos con la lista, Burberry en mi opinión y punto de vista creo que debe de poner menos gabardinas, debe optar por más diversión y colores más brillantes, algo mas "veraniego", tal vez intentó algo diferente que podría funcionar, porque a mi personalmente me gustaron mucho los looks. Christopher Bailey, es el diseñador creativo de Burberry, que siempre crea nuevos diseños que se adaptan a los estilos modernos. Now is the time for Versace, Another very Gianni Versace in the early nineties inspired collection came from the man's sister herself. We can notice that D&G got really similar prints, which I don't know if they copied or not but Donatella channeled the spirit of Versace, The glamour, the colours, the style.. Even the models looked as perfect as Gianni's models in the nineties. I personally LOVE Versace, I think it makes you look smart without look boring always so classic I really like Versace, hope you do aswell. Emporio Armani and the show’s theme, Lightness, manifested itself in fabrication and shape rather than colour at Emporio Armani today, with fine knits, sheer silks, buttery thin leathers, delicate wool tailoring and crumpled cottons appearing in easy shapes: from breezy wide-legged trousers to open pyjama-style jackets. 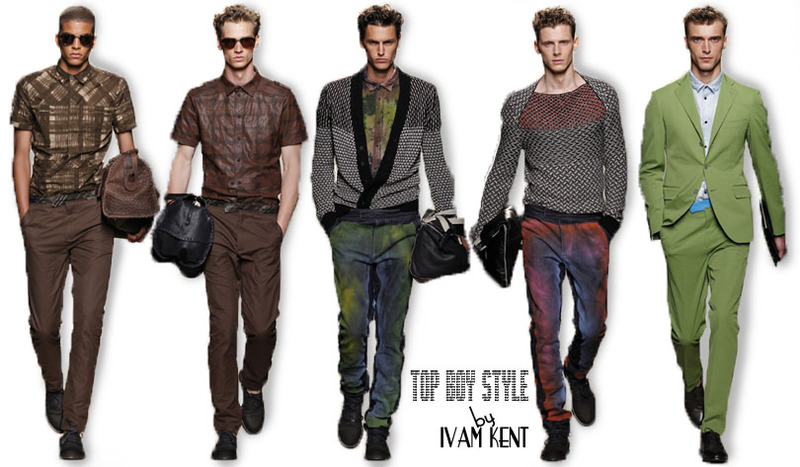 With more prints than is usual for the label, Armani even introduced one bordering on the ikat seen on the pictures above. Colourwise, navy and denim blue and flashes of teal green enlivened a typical Emporio palette founded on a myriad of greys, but the label’s faithful customer is all the more delighted the more neutral and wearable the collection. 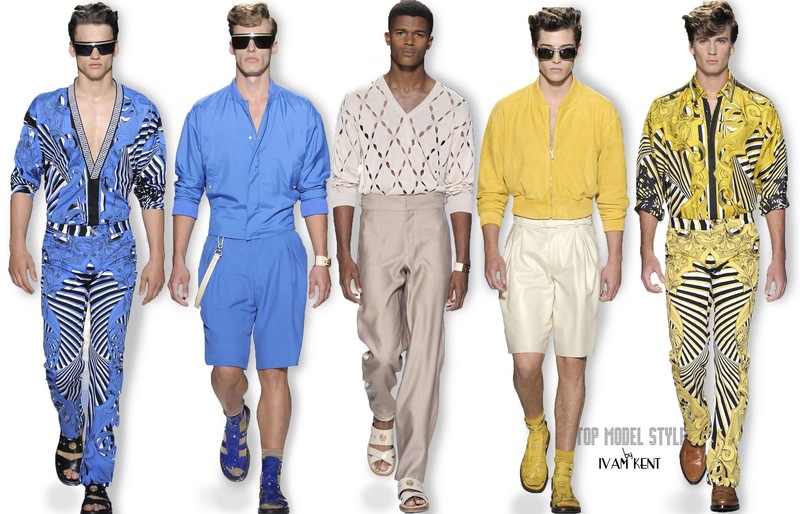 Ahora es el momento para Versace, otra pasarela muy Gianni Versace en los años noventa colección inspirada en vino. Podemos notar que D & G hizo estilos muy similares, que no sé si le ha copiado o no, pero Donatella canaliza el espíritu de Versace, el glamour, los colores, el estilo .. Incluso los modelos parecen tan perfectos como los de Gianni, los modelos de la década de los noventa. Personalmente me encanta Versace, creo que te hace ver elegante sin parecer aburrido siempre tan clásico que realmente me gusta Versace, espero que también a ustedes. Raf Simons’ gothic army of models, with hair greased up and slicked down, answered the call of the wild for the Spring 2012 Jil Sander collection in Milan. Jil Sander Instead of fully colour blocked looks the “pop” was toned down and used mainly in the accessories and various items of clothing – always paired with a black or blue anchor – in different prints. These prints included multicolour snake skins, a swirling pattern, and an almost painterly effect was achieved on the open weave knit sweaters. The looks were both sharp, yet sporty. The drawstring snakeskin bags are a perfect example of this Gemini-like quality the collection holds. 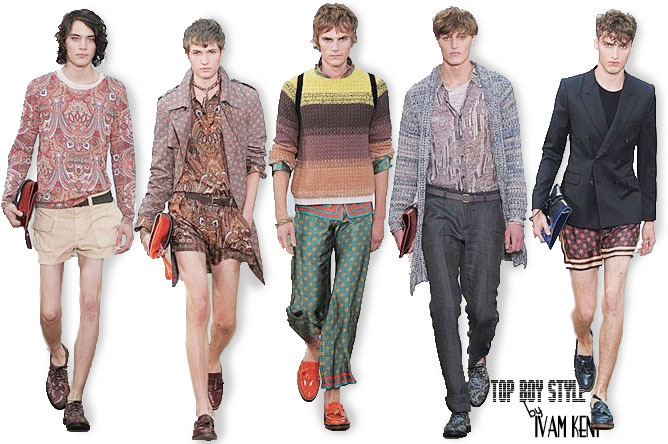 Star pieces of the show were the transparent outerwear, the stitched leather, and of course those snakeskin pouches that will end up on every respectable man on the go. (We can notice what it's mentioned above the snakeskin bags on the picture below, the second model from left to right) also we notice again the repetitive colours as the looks above such as green and yellow. So now for a change we are going to see something a liltle bit more formal than the looks above I will show you two of them that I liked which are Ermenegildo Zegna and ACNE. The picture above shows a picture from Zegna's collections, which shows the green colour again, and also pink which is most likely the top colours for this S/S. Así que ahora para un cambio que vamos a ver algo un poco más formal que los looks de arriba y te mostraré dos de ellos que me gustan que son Ermenegildo Zegna y ACNE. 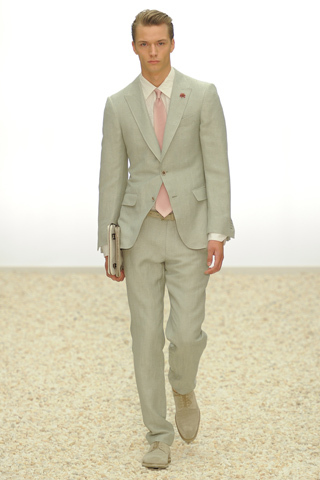 La imagen superior muestra una imagen de las colecciones de Zegna, que da a ver el color verde como pistache de nuevo, y también de color rosa que es más probable los colores principales de esta S / S.
It’s all about functionalism and Swedish purity. Introduced to a denim culture – clothing became no fuss, rustic and natural. 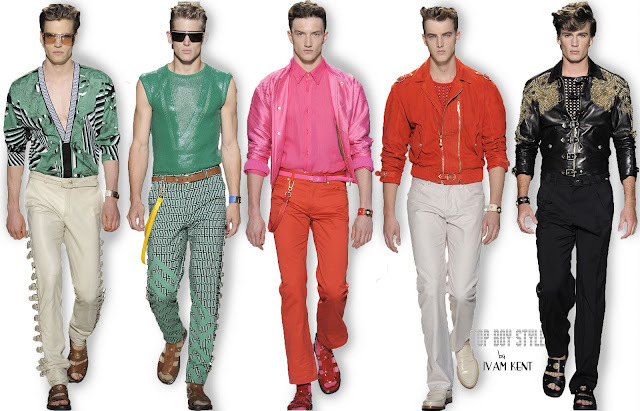 It's not about luxury it's about style.Clashing this with the idea of modern sports attire – creating a tight, elegant. The Inspiration for ACNE It’s like a new way of dressing up. The same approached lent itself to the fabrics. Raw suede, textured linen and heavy cotton knits clash with slick polyester, double knit viscose and crisp nylon and a bit of red and green on top. La inspiración de ACNE es como una nueva forma de vestirse. Lo mismo se acercó se prestaba a los tejidos. Ante primas, ropa de algodón grueso y textura chocan con tejidos de poliéster resbaladiza, viscosa y tejido doble de nylon suaves y un poco de rojo y verde en la parte superior. 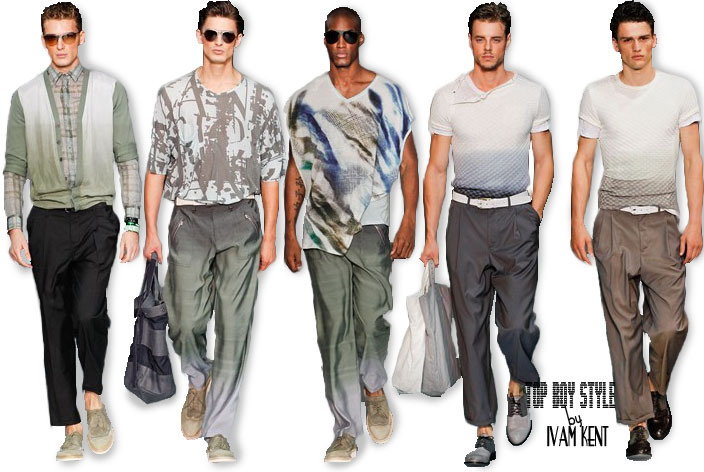 Bottega Veneta introduced and used my favourite colour which is green (Seen in the picture below, the 5th model from left to right), I really liked this collection because of the way the mixed patterns are used on the different looks I find it really interesting. 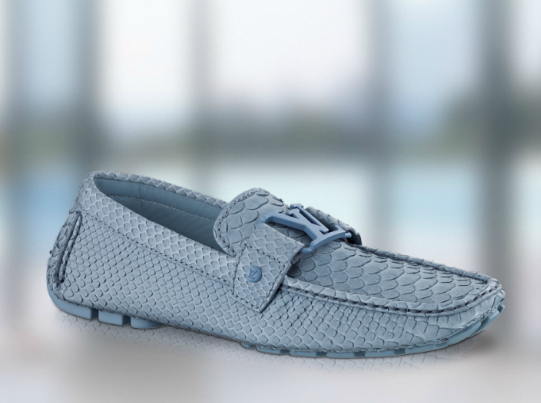 Bottega Veneta presentó y usó mi color favorito, que es color verde (visto en la imagen siguiente, el modelo quinto de izquierda a derecha), me gustó mucho esta colección, debido a la forma en que los patrones de mezcla se utilizan en los diferentes looks, que me resulta muy interesante . 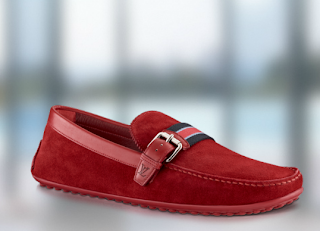 Red Loafers from Louis Vuitton S/S 2012. Blue Loafers from Louis Vuitton S/S 2012. Brown Loafers from Louis Vuitton S/S 2012. 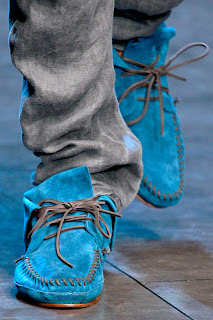 Blue Loafers from D&G S/S 2012. 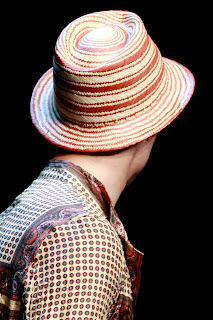 Hat with Red Stripes from D&G S/S 2012. 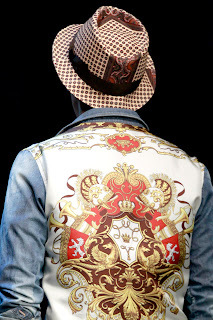 Hat with squares from D&G S/S 2012. Hat with mixed patterns, from D&G S/S 2012. 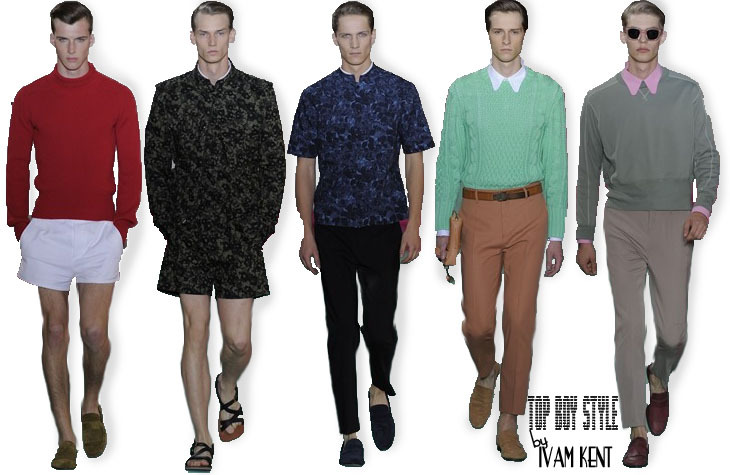 So as you noticed in the all the pictures above the LOAFERS and HATS are ALWAYS there, also colours such as GREEN, RED, PINK, YELLOW, BROWN, are highly recomended for the next season S/S(Spring/Summer) 2012. 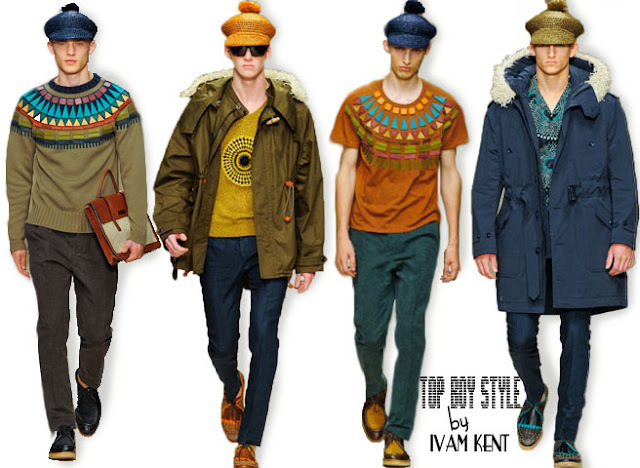 Don't forget STYLE your looks, because that's what it's fashion about :) and to feel comfortable. Así como se observó en el todas las imágenes de arriba, los mocasines y sombreros son siempre la buena opcion, también los colores como el verde, rojo, rosa, amarillo, marrón, son muy recomendables para la próxima temporada S / S (Primavera / Verano) 2012. No te olvides de estilizar tus looks, porque eso es lo que está de moda y que te sientas cómodo.